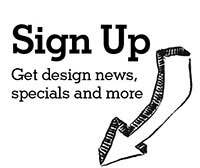 The Dallas International Lighting Market is renowned as the largest lighting show in the country. 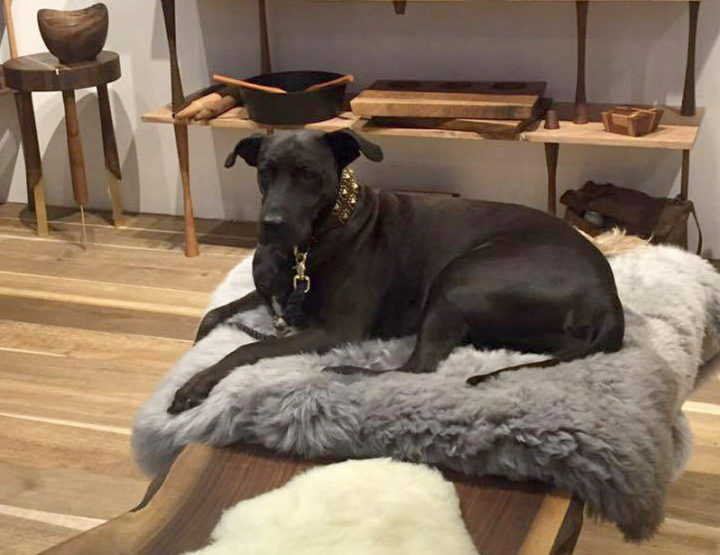 During the event this past January, we returned to one of our favorite lighting manufacturer showrooms: Littman Brands. They launched more than 400 new products collectively for 2015. 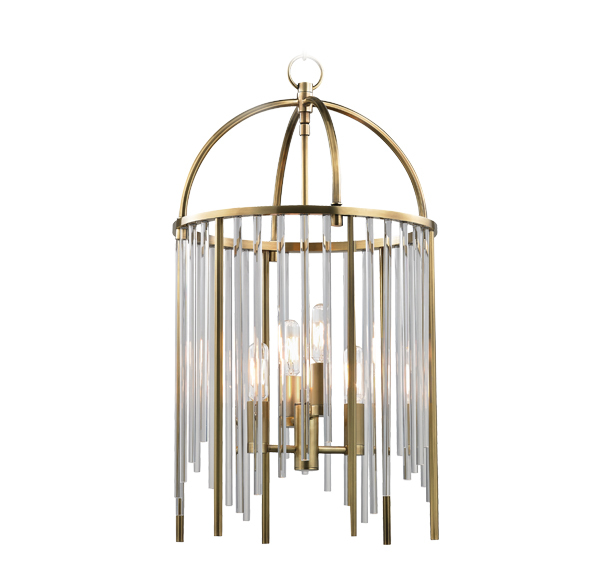 Hudson Valley Lighting introduced more than 175 designs across a variety of aesthetics while Troy Lighting and Corbett Lighting introduced more than 50 new collections. To break down the best from the best, let’s take a look at some of these trending new designs straight from Dallas. 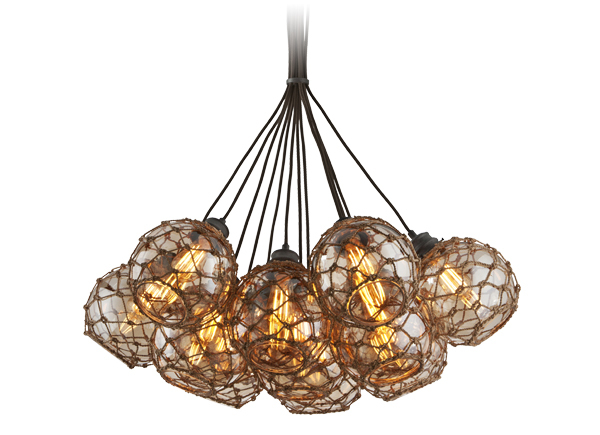 We’re starting out our list with one of our favorites from Hudson Valley Lighting’s new Lewis line. Possessing Hudson Valley’s unique style and flavor, Lewis is classic-looking and versatile. 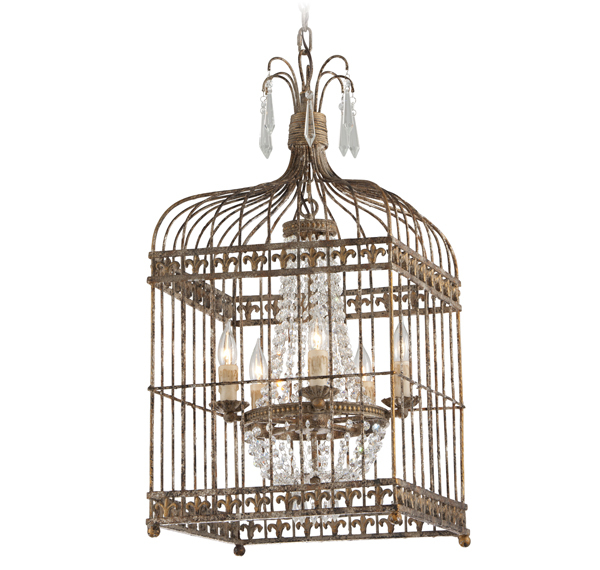 It features gleaming glass and metal rods, which create a modern, open birdcage design surrounding tungsten bulbs. Simple yet elegant. Dresden defines modern elegance. Marrying vertical lines with rounded contours, four rounded bands made up the airy globe, housing a cluster of candlesticks. What’s amazing about Dresden is the visual experience up close – as we moved around it, the design changed and created different shapes. Bee-utiful! 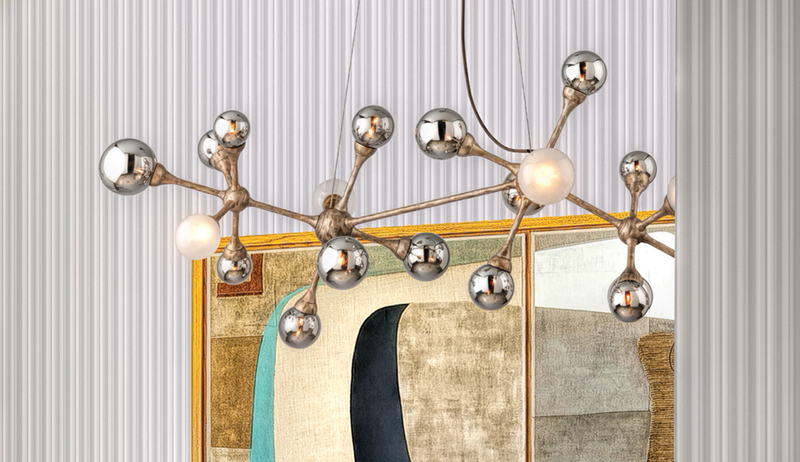 The shape of Hudson Valley’s Thorton fixture evokes a beehive made of textured blown glass. 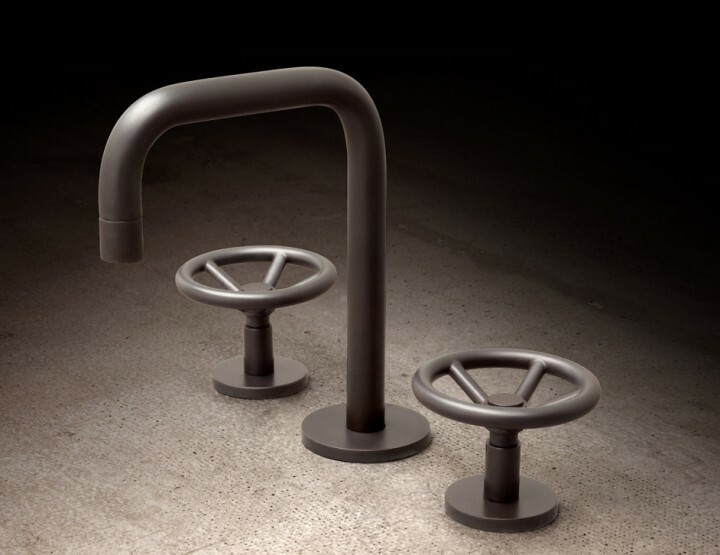 We were fascinated by the fixture’s subtle bubbles that glow once illuminated. In order to create the effect, Hudson Valley’s artisans actually inlay strands of brass in the molten glass while blowing it into shape. 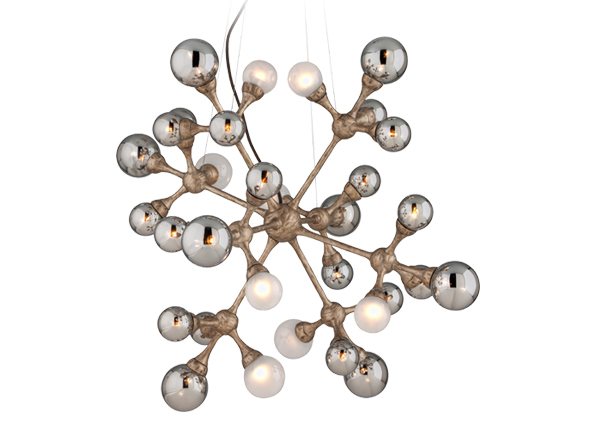 From romantic and whimsical to sculptural and avant-garde, Corbett Lighting introduced a variety of creative new designs. Let’s take a look at some of the best and brightest. Element brings back childhood memories with its striking resemblance to the game Jacks. 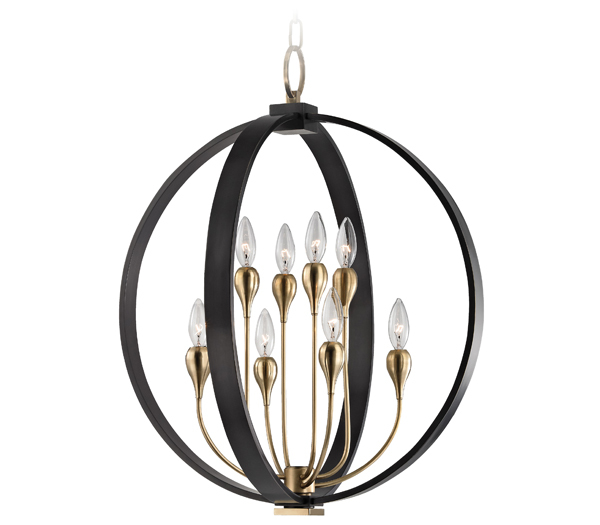 Hand-crafted from iron and finished in Vienna bronze, Element features smoked and plated and frosted white orbs branching from round centers. Element is delightful from any angle. 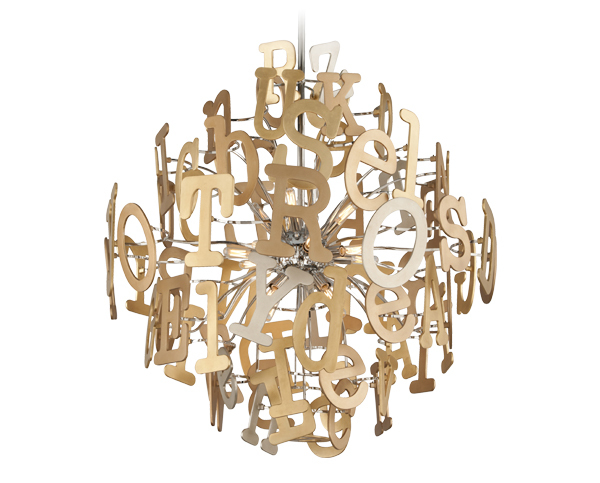 Inspired by typewriters, Media is a unique sculptural creation featuring plasma cut letters in an old typewriter font. The letters are finished in a combination of gold and silver leaf, which makes them jump right off the page. A delicate bouquet of white porcelain flowers, Lily is definitely a romantic and ethereal new addition. 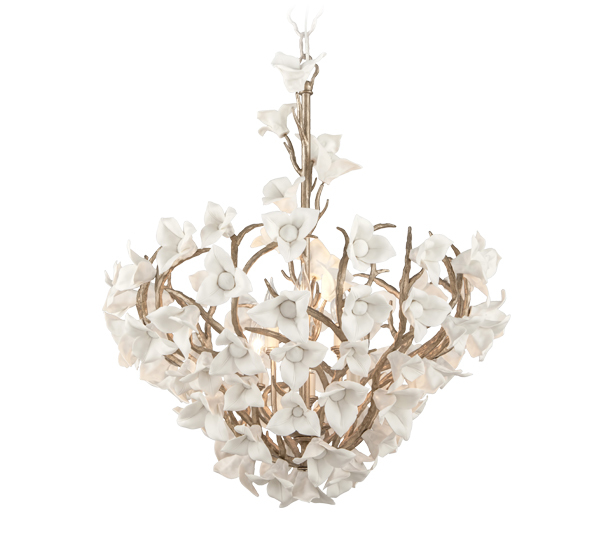 Each petal grows from a sculptural, branching frame of hand-crafted iron finished in enchanted silver leaf. Last but not least, Troy Lighting unveiled 175 new interior and exterior fixtures, including LED and Made in the USA options. From industrial chic and nautical-inspired designs to French rustic and Mid-Century Modern creations, here’s a look at some of our favorite new Troy collections – for both indoors and out. From the hand-woven rope netting to the smoked glass shades, we loved all the exquisite details put into the Outer Banks collection. The hanging cords are cinched together with an adjustable ring which moves up or down to create different lighting configurations. Street Art is definitely one of the most eye-catching new collections. 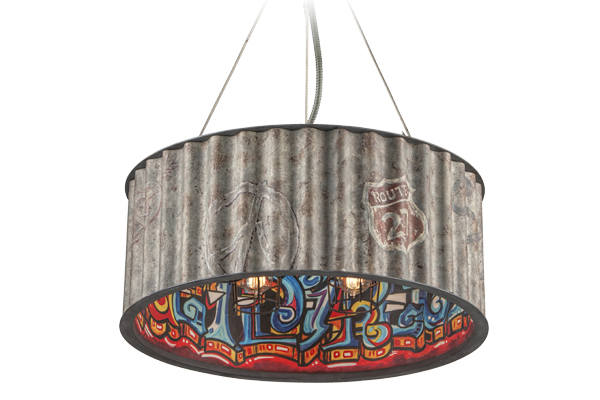 The weathered galvanized finish creates a cool exterior, while the inside features a colorful graffiti interior. Inspired by the artistic vibrancy of city life, Street Art brings an urban edge indoors. Odyssey is certainly an adventure into otherworldly lighting design. 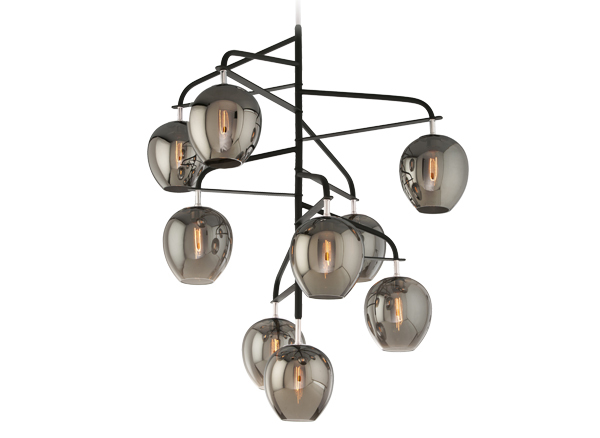 This Mid-Century Modern fixture features hand-blown, plated smoked glass shades, which offer a cool mirrored effect. The asymmetrical, multi-branched frame adds an interesting and unique shape to the design. Resembling a Parisian bird cage, Amélie is romantic and whimsical, rustic yet refined. Adorned with clear crystal drops, fleurs-de-lis, and flame tip candles, the vintage-looking Amélie is très magnifique. 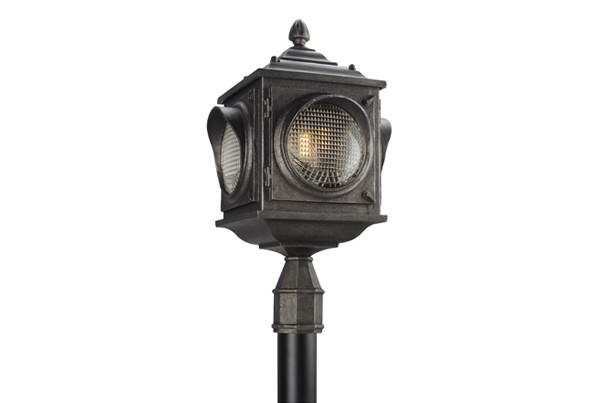 Main Street is the perfect outdoor lighting collection for those who love a good mix of vintage and modern styles. Beautiful circles of clear pressed glass are visible on each side of the LED fixture, which is reminiscent of an antique traffic light. Magellan’s beautiful hourglass figure makes it one of our favorite new outdoor lighting designs from Troy. 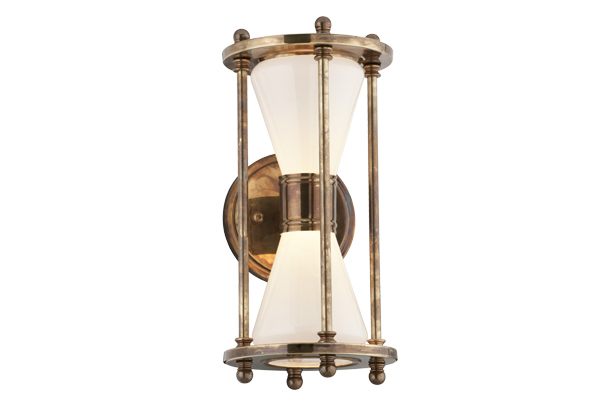 The Made in USA collection is crafted from solid brass metalwork finished in historic brass. 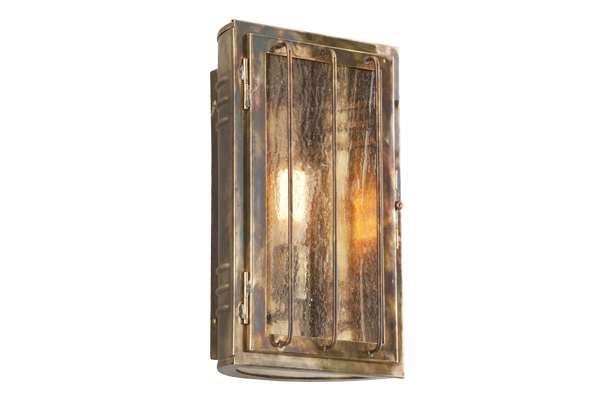 Joplin is a new outdoor sconce designed to look like an oil can cut in half and repurposed as an exterior lantern. How neat is that? That’s it for our “What’s Hot from Dallas Market” list. 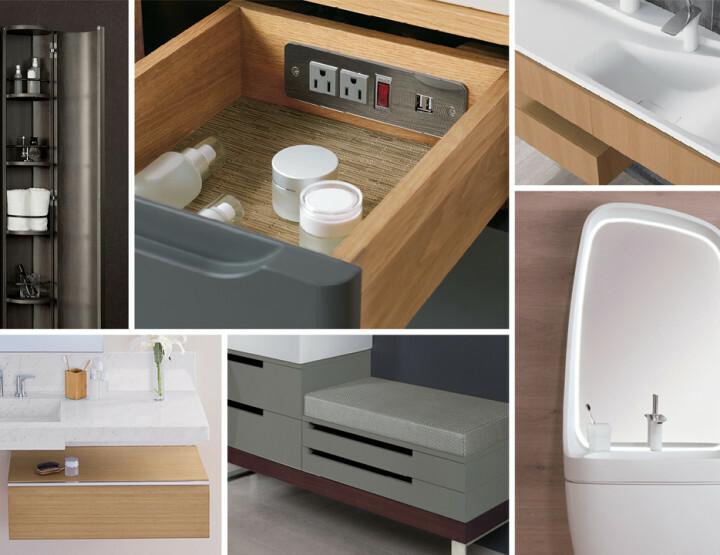 Littman Brands still amazes us with their exquisite designs and fine details year after year.